It's official: summer is over. How do I know? Blueberries are no longer on sale at the Save-On. They've gone back up to full price. It was a good run. Between these tomato & blueberry salads and all the green breakfast smoothies I ingested in the past month, I think I ate more blueberries this summer than all the blueberries in the rest of my life combined. Anyway. 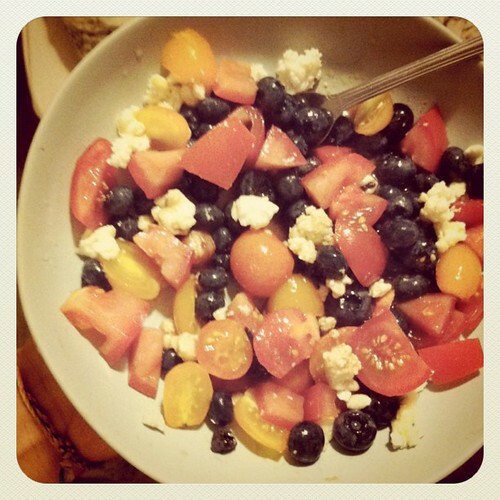 I think this was my last tomato & blueberry salad of the year. Farewell, sweet salad.